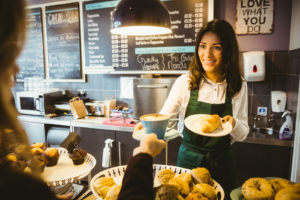 Regardless of whether you own the family restaurant that everyone knows about or the fine dining institute that caters to create an experience, restaurants face a myriad of unique challenges and exposures in their industry. Restaurant owners need to protect themselves from loss of income, liability, employees and more. Having a Restaurant Insurance policy from Alaska Service Agency can help cover all your restaurant insurance and business insurance bases. Alaska Service Agency is a locally owned and operated insurance agency in Anchorage, AK. We invite you to complete an online quote or call us at 907-337-2311.